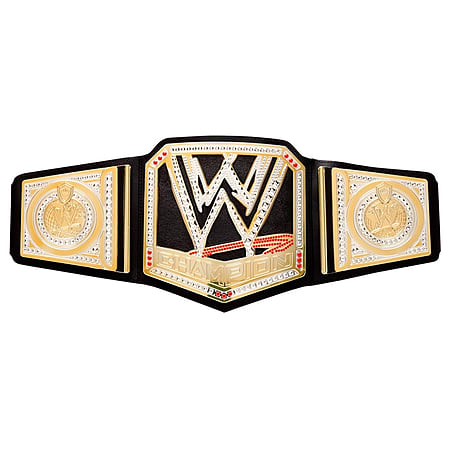 Wrestling champions can have their very own Title Belt to show off their victories; just like the ones worn by your favourite WWE wrestlers. Get ready to enjoy champions' glory! 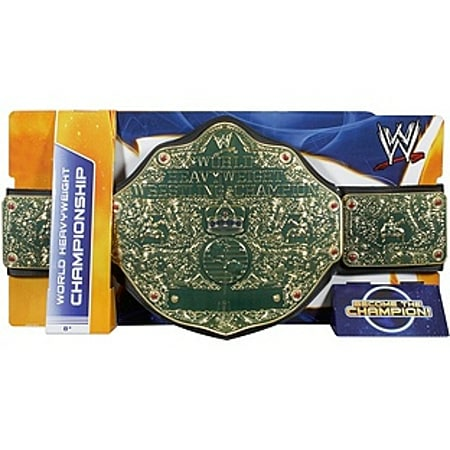 Now kids can take home the excitement of the WWE and its ultimate honour - the Chamionship. The leather-like belt features authentic styling and sleek metaillic medallions like the pros. A one-time adjustable waistline fits kids ages 8 years or older. Choose from the biggest national and international contest Championships. Put one on or wave it around and feel the thrills and power of being the WWE's best. For ages 8 years and over. . WARNING(S): Not suitable for children under 3 years old.